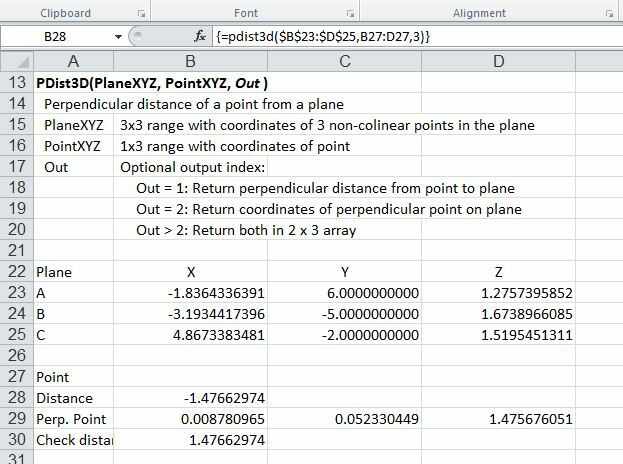 Following the previous post, I have added several new functions connected with intersections of lines and planes, and a function to generate a perspective plot from 3D coordinates. The new functions have been added to the IP2.xls worksheet, which can be downloaded (including full open source code) from IP2.ZIP. Further details of the PView function will be given in the next post. 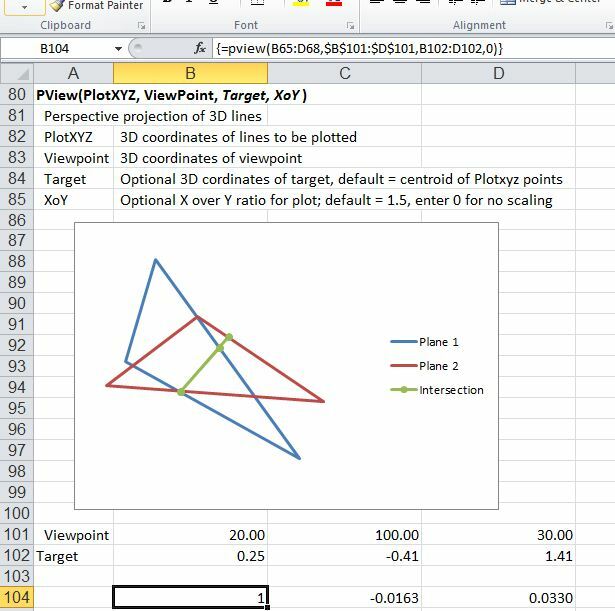 This entry was posted in Coordinate Geometry, Excel, Maths, Newton, UDFs, VBA and tagged Excel, intersections, IP2.xls, lines, perspective view, planes, UDF, VBA. Bookmark the permalink. 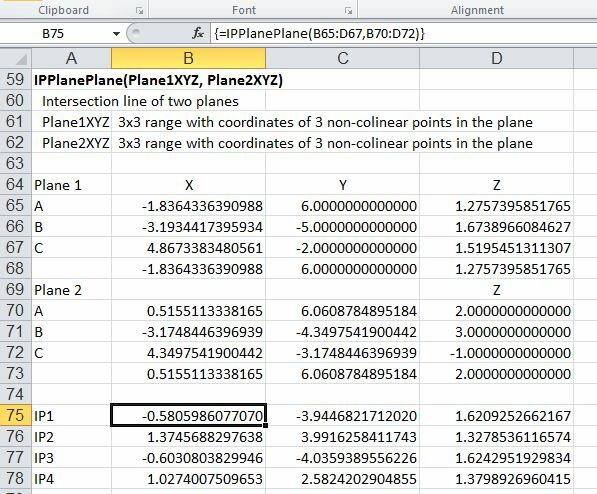 3.925 109.869, so the end points of these lines are not treated as intersection points. Nice tool. Not sure how to make this in add-in. Is this possible ? Yes, just save as an add-in (xlam), then register the add-in using File-Options-Addins, click the Go… button next to Excel add-ins down the bottom, and select the box for IP2 (or whatever you have called it). All the functions should then be available from any open workbook.